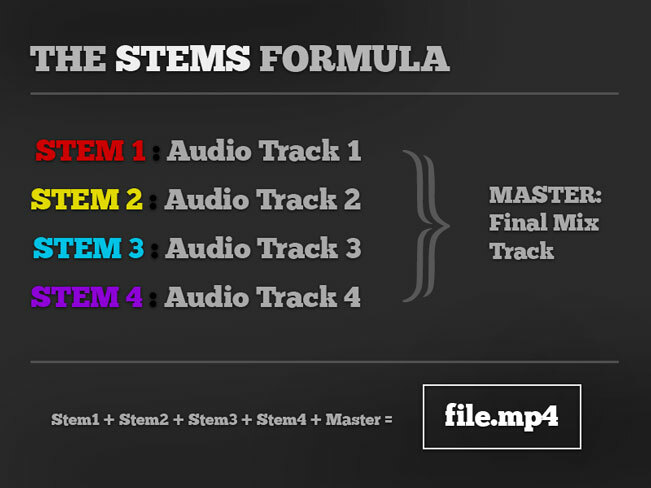 Simply put, STEM files are a single MP4 file containing 5 audio tracks. 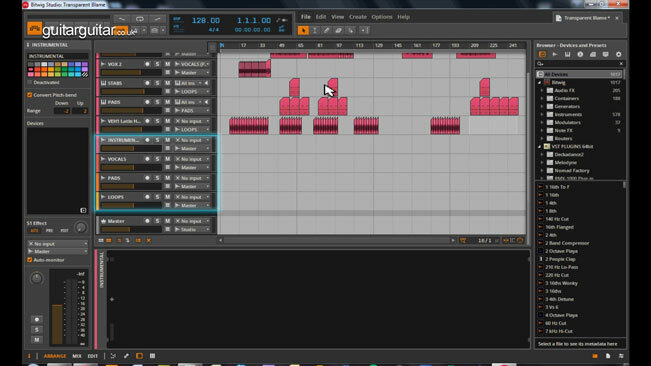 4 of which are individual exported STEM tracks that when combined make up the additional 5th audio track - the master mix. This is beneficial for on-the-fly loading of a single stem file and not having to worry about loading up 4 single audio tracks each time, you can simply load up one file into a single deck, and mix between 4 layers of audio tracks. In other live performance software tools you can’t load multiple tracks at a time, but with the STEMS file format, this makes it possible to load 4 audio tracks within one file. TRAKTOR Stem Deck - Did you know? If you make or produce your own music, mashups or remixes, the best and most simplest way to export the 4 STEM tracks needed to produce a STEMS file is to create 4 separate bus tracks you route your other tracks to depending on choice. So, for example if you have 24 tracks running in your project, you need to decide on how to group ALL of those tracks into only 4 separate tracks - these are typically decided on by DRUMS, BASS, VOCALS and OTHERS. But this is entirely up to you and how you want your STEMS file to be mixed by the 3rd party user. With your prepared Stems Cover Art and 5 audio tracks ready to import into the Creator Tool, simply enter all the metadata of track title, artist and more. 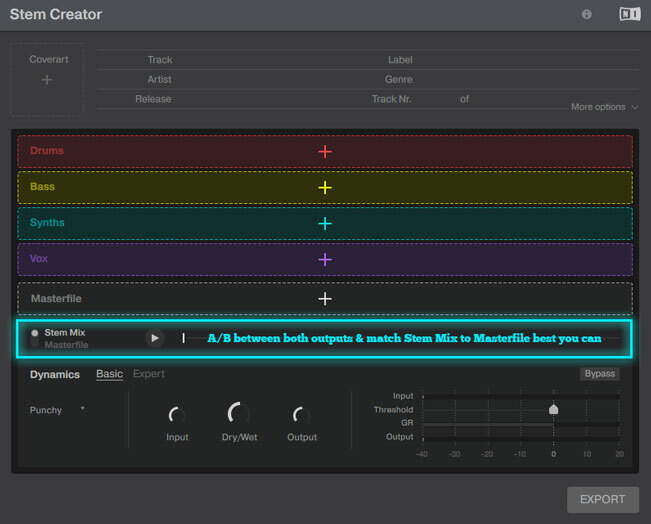 Once your tracks are imported you should see the switch between STEMS MIX and MASTER output. This switch is EXTREMELY IMPORTANT to how your STEMS mix will sound when using the STEMS inside Traktor. Using this switch it allows you to A/B between both outputs. What you need to do is adjust the compressor parameters below to get the sound of the STEMS mix output as close as you can to the MASTER output. When you feel you are as close as you can, you are ready to export your first STEMS file.